The Business Insider reported on July 14, 2014 that "Teenage Girls Freak Out After Heartthrob [R-New York] Congressman Shows Up At [Sweet 16] Party" But the nymphets started their "freak out" before the 44-year-old Congressman got there. 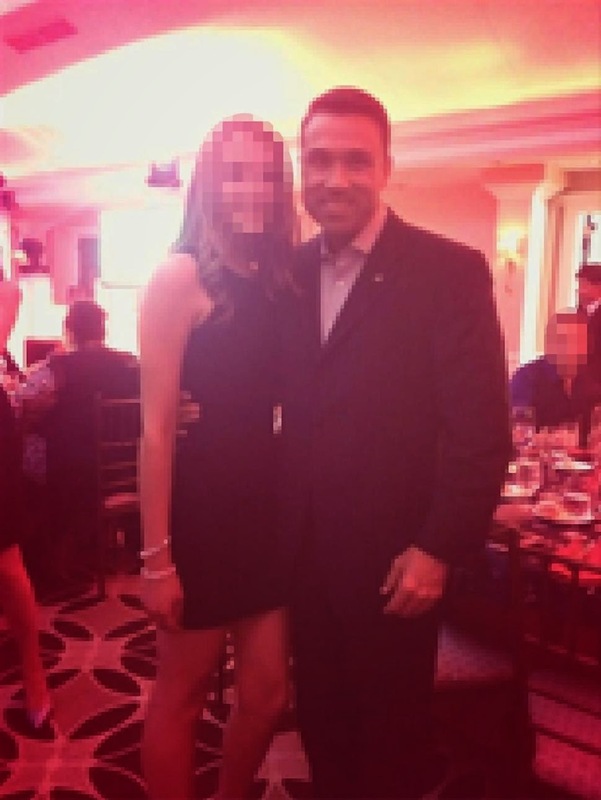 "F***ing Michael Grimm is going," one teen wrote on Twitter. "I'm gonna dance with him all night and make him fall in love with me." 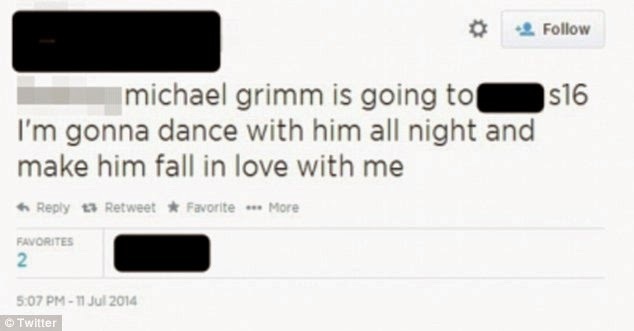 Grimm reportedly promised her that wouldn't be their last encounter. "He told me he's taking me to prom I was like you fricking better," the teen wrote. 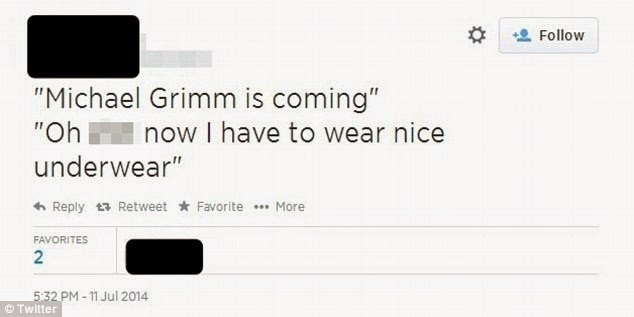 Another teen quoted the excited conversations about Grimm that she overheard among her friends. "'Michael Grimm is coming.' 'Oh sh** now I have to wear nice underwear,'" she wrote. The Huffington Post reported that 57-year-old actor Steven Bauer has a nymphet! Bauer, who is the former husband of 57-year-old Melanie Griffith, star of Showtime's crime drama Ray Donovan and the cult classic Scarface, is dating 18-year-old Lyda Loudon. Loudon is the daughter of Gina Gentry Loudon, an author and Fox News contributor.